Sorghum is an ancient grain with a wonderful nutty taste. It was originally grown in Africa, but is now found throughout the world. 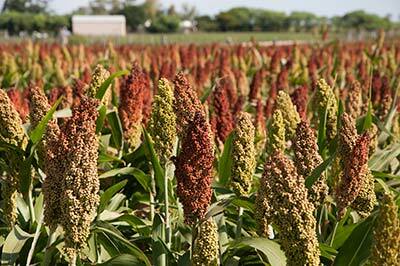 Sorghum remains have been found in archaeological sites in southern Egypt dating back to 8000 B.C.E. Sorghum is the dietary staple of more than 500 million people in more than 30 countries. Sorghum flour is naturally gluten-free and used in many kinds of baked goods. White sorghum flour is made from white food grade sorghum that has the hull removed and milled like traditional flours. This flour can be used in a variety of baking applications in conjunction with other flours. Whole grain flour is milled with the entire grain without the hull removed and retains all of the nutrition found in the outer casing of the grain. Whole grain sorghum can be cooked like rice or popped like popcorn. It resembles bulgar or wheat berries. Sorghum syrup is a natural sweetener that comes from juice squeezed from the stalks of certain sorghum varieties. It has a rich, dark color and consistency similar to molasses but with a milder taste. Sorghum can also be fermented to make gluten-free beer. Sorghum is used primarily for livestock feed in the United States but has recently gained popularity as a food with the increased awareness of the benefits of a gluten-free diet. Sorghum is an excellent replacement for wheat flour in baking because its light color and mild flavor won’t interfere with the color or flavor of food, making it appropriate for all types of baked items―breads, muffins, pasta, cakes, cookies, and pies. It has a much better texture in baked goods than rice flour, the traditional gluten-free choice. It has about the same nutritional value as cornmeal and rice and is currently not being genetically modified. Because of its drought resistance, it has become a popular crop in the Texas Panhandle where I live. Around the world, many types and colors of sorghum are used to produce various types of traditional foods and beverages. Unfermented bread, such as chapatti and roti are common in India, while tortillas are made from sorghum in Central America and Mexico. Fermented breads such as kisra and dosa are found in Africa, Sudan, and India, while injera is popular in Ethiopia. Stiff porridges called ugali, tuwo, karo, and mato are found throughout Africa, India and Central America, while thin porridges such as ogi, koko, and akasa can be found in Nigeria and Ghana. Couscous from sorghum can be found throughout West Africa, and boiled whole or pearled sorghums are consumed in Africa, India, and Haiti. Snack foods containing sorghum are widely produced and are found in the markets of Japan. Maizy says my squeaky football is the same color of orange as the Love Sorghum logo on this page. My squeaky football is more FUN though. Posted in What is Sorghum? Hi! I’m Maizy. I have Celiac disease and have been on a gluten-free diet since 2002. Although there are many ready-to-eat gluten-free products on the market these days (some better than others! ), I have been trying to cook more foods from scratch. I’m not a great chef or anything. I just like the taste of freshly cooked foods containing healthy ingredients. I read the labels on everything. You just have to get in that habit if you are a celiac. There seem to be more and more products out there containing sorghum and I noticed I often tend to like the flavor and texture of these foods more than the ones with rice as the main ingredient. So, I have decided to create this blog dedicated to the lovely grain, sorghum. 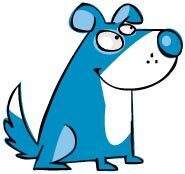 And, with the help of my constant companion, Milo, I hope to make this an interesting and informative place to visit for anyone on a gluten-free diet. My goal is to try one new recipe containing sorghum per week for the next year. The 52 Weeks of Sorghum section of this blog will contain these recipes and a review of how they turn out. The What is Sorghum? section will contain general information about sorghum and how to cook with it. The Celiac Info section will contain information about celiac disease and how to follow a gluten-free diet. I hope you find something useful and/or fun here. Please feel free to share your experiences with these recipes and ingredients. I can use all the cooking tips I can get! I don’t know what sorghum is, but Maizy promised to make me some dog cookies. I love cookies!